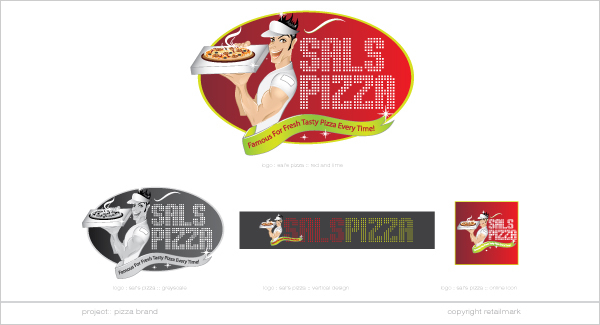 Sal's Famous is a new pizza and fried chicken concept for students. 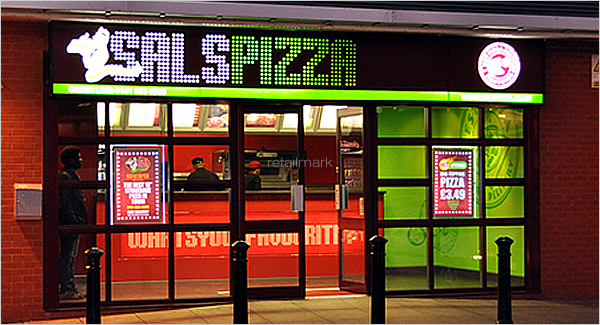 Focusing on collection and delivery service only, Sal's Pizza will operate in highly populated student areas. 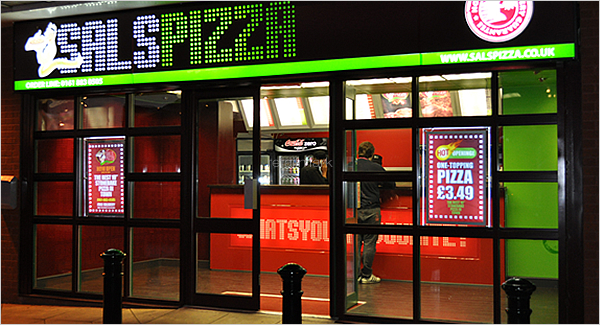 The first store is now open in Salford, Greater Manchester and only a stones throw from the University's halls of residence. 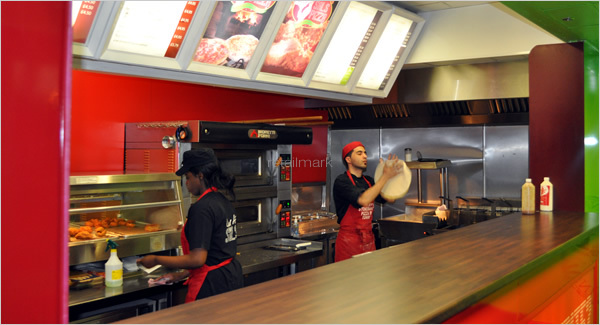 Specialising in 10" stone baked pizzas and fried chicken, the 'value for money' outlet will soon be expanding into other Greater Manchester areas. 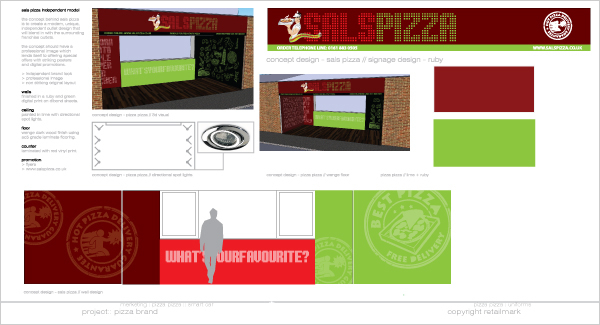 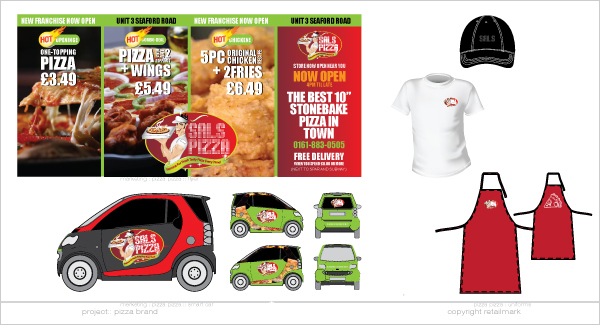 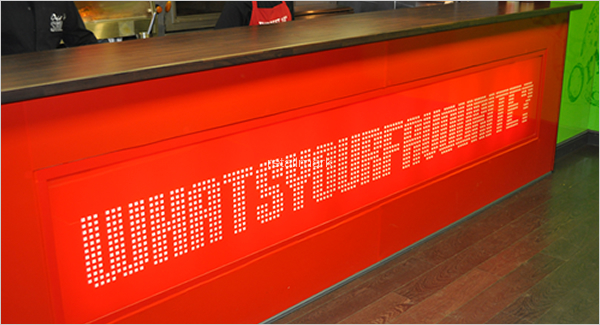 We were commissioned to develop the brand identity, interior design and marketing material for the pizza and chicken franchise. 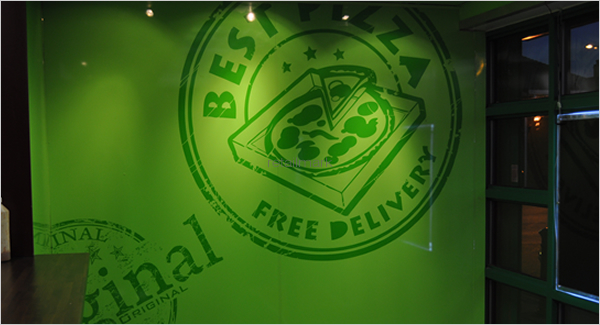 We introduced a striking brand image, vibrant colour scheme and simple fit out model that ensures that stores can be opened with relatively small budget constraints.